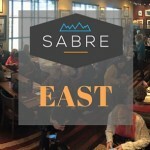 Join us at Sentinel Peak Brewing Company for our monthly SABRE Social. Cost is $10; all proceeds go to a local Tucson charity. Happy hour is until 6pm, so come early!